WG do you want us away from game? Do you want to shut down this game? Edited by Vule777, 29 December 2018 - 04:52 AM. If you are going to play in the wee hours of the morning that's when you'll find all bot games. The numbers of players willing to play at 2, 3, 4 or 5 o'clock in the morning are never going to be high. All bot games are a lottery; occasionally you'll find, no matter what you do, the enemy bots do the right things and yours do the wrong thing. One player alone sometimes can't counter that. Edited by RoyalFlyingCorps, 29 December 2018 - 08:30 AM. You know know how to put a * next to the bots and I don't? ... All bot games are a lottery; occasionally you'll find, no matter what you do, the enemy bots do the right things and yours do the wrong thing. One player alone sometimes can't counter that. I dont think its a lottery - i am pretty sure that this is intentional that bots in pure human vs. bots game perform better than normal. 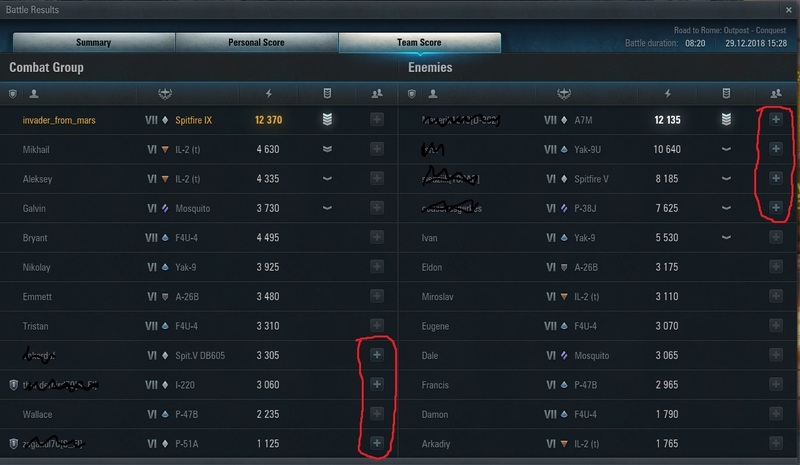 Usually a human player is far better than a bot, so WG compensate this by making the (enemy) bots in such battles stronger. And in the end it may be fair, because otherwise players getting MM to play only against bots would have an advantage over players which get humans in the oposing team. Again, this is no fault by WG (they make other mistakes) - the problem is the small playerbase. Problem wasn't in my bots because game ended with 5 alive enemy bots and 4+me in my team. I captured 2 airfields Rocket and Garnison and this is not the first time that I play PVE, so when I play bad, it is ok that I lose, but this don't have any link with common sense. 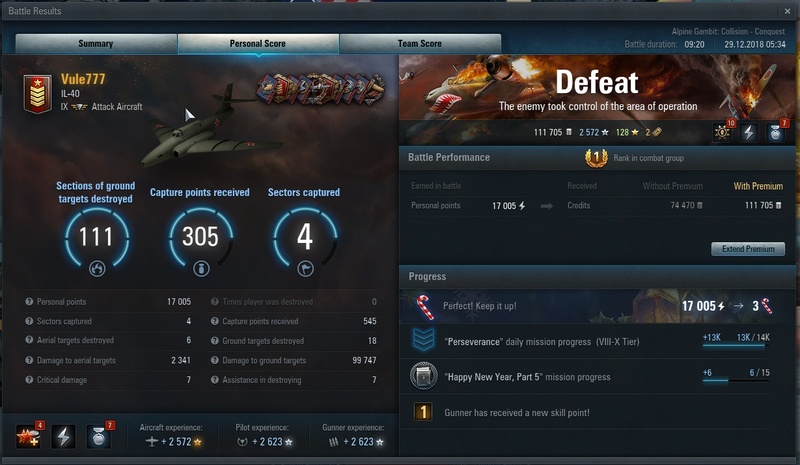 Sometimes in PVE I finish battle with 2k dmg after 2 minutes (example), sometimes i lose, but this...I never lost like this before 2.0.9 patch. You can also see that I wasn't died the whole battle. Edited by Vule777, 29 December 2018 - 11:26 AM. Main issue is, and I've ran into this in randoms as well, people/bots sometimes don't try to hold onto the sectors you capture as a GAA. Yes, you did a great job capturing those sectors. Which is pointless if the rest of your team is unable to keep them. I've had battles in excess of 20K PP against bots and lost. In the end, one aicraft can't reliably win a battle on its own. lol, I would be SOOOO HAPPY with matches like yours, instead I have THIS ALL THE FREAKN TIME!!!! Edited by invader_from_mars, 29 December 2018 - 03:00 PM. Everything that you all said it's true but don't you think that something must change then? I'm not programmer but obviously some script isn't good if we whine all the time, and it sure isn't my fault (someone said that isn't WG's fault), so who to blame? Bots? AI? I don't insult but I will critique them all the time. It is not 100% free game if you count years and years spending money on premium that premium this...so at least they can listen. Eke was my only hope because he at least keep them informed, now we don't have that either. Edited by Vule777, 29 December 2018 - 09:11 PM. Again, the only realistic solution is "the first from the losing team gets all as per win". It would soften a lot of frustration. I agree, but we play non-realistic now and WG don't care. Its only realistic if game stay as dead as it is now or worse. The more humans ( skilled ) in a game, less chances to be first ( and the 2+ will still be angry ) , less viable solution. This was insta quit at start by me. If this is the matchmaker you expect us to play, better shut down this game right now. You would save us our time, and you would save yours. This game is hopeless. 4 human heavies ( 2 in a flight ) vs 1. Have you completely lost your minds? I wonder how much IQ one person in WG needs to understand this? Matchmaker knows exactly and prevent what I want to do then. Sometimes I had to quit 5 battles or more in a row from beginning just to find a match with Command Center for mission. Very impressed AI of Matchmaker. Edited by Hal_Leuco, 02 January 2019 - 05:28 PM. 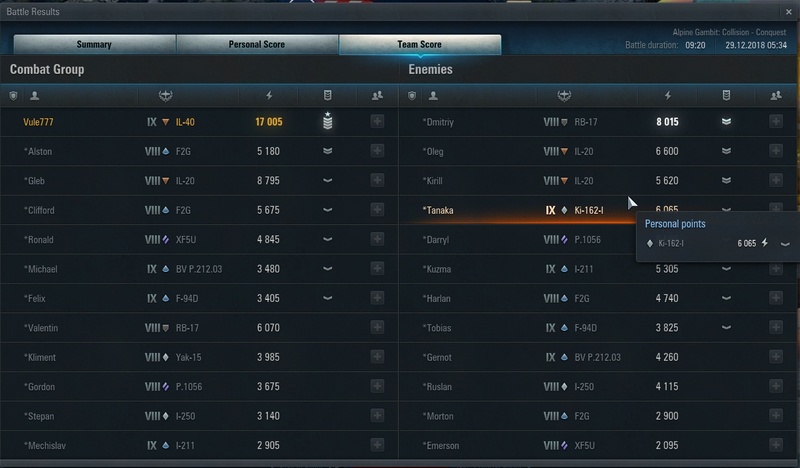 There are also different types of bots in one battle, i had battles at T8 with bots who didn't even shot at me head on, in other battles they were smart enough to stay on objectives and defend them, when other bots just flew from objective to objective. I know there are idiot and veteran bots, but why do the teams have different kinds of bots. The bots at tier VIII are supposed to be veterans, but when I see one of my bot GA (IL-8) at 900 meters attacking enemy planes, it is losing the battle for us !! While his red colleague in a Yak-7 one-shots me from 1km away ... 2 times. And still WG didn't introduce an automatic system to remove income of credits/xp and block progression for missions for those ppl who purposely lave the game and don't complete it? Only ppl allowed to leave before the end should be the dead ones after squall line. If u leave the game before the squall line and even aftrr if u are still alivr and don't rejoin (whicever bug, crash or anything allow to join back) u gonna receive a warning, when u repeat the same for 2 battles in 24h u will not receive credits, xp and any missions progress for next 24h. You have to differentiate between different problems. This is bad mission design and has nothing to do with the matchmaker. 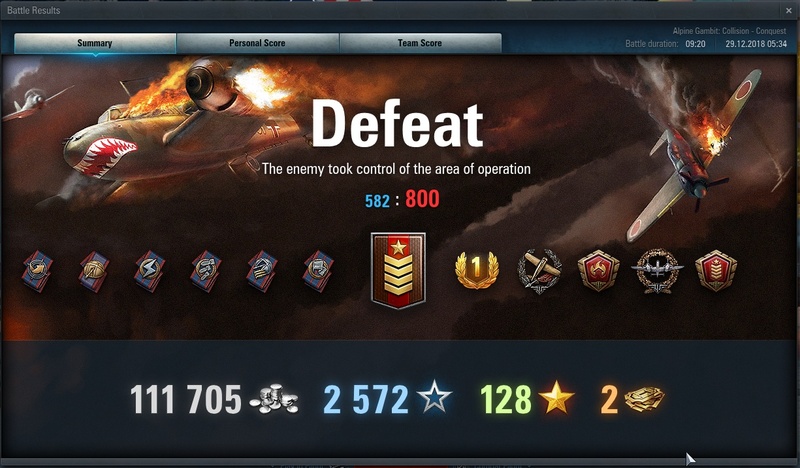 I think the bots in WoWP are pretty good. Yes, they are not perfect but compared to other games with bots ours are good. The Matchmaker currently is not good. It was a very good move to have the same bot types in each tier but at the same time the template system was introduced (GA and bomber are the same, light, heavy and multiroles are the same) and I think this is an unnecessary simplification. Flights are not matched according to their tier (you can have low tier flights against high tier flights) and seems there were more shortcuts that create unbalanced teams. In general the matchmaker is creating matches too fast. Most of the time there is barely time to cancel the waiting queue and I think most people would accept a bit more waiting time if they get more balanced teams. Throwing out a large number of short matches is not the way to go. The token missions (you cannot call them daily) really need to be reworked. And the most important: Fix the *edited* bugs ! Edited by SilviettaG, 07 January 2019 - 03:03 PM.